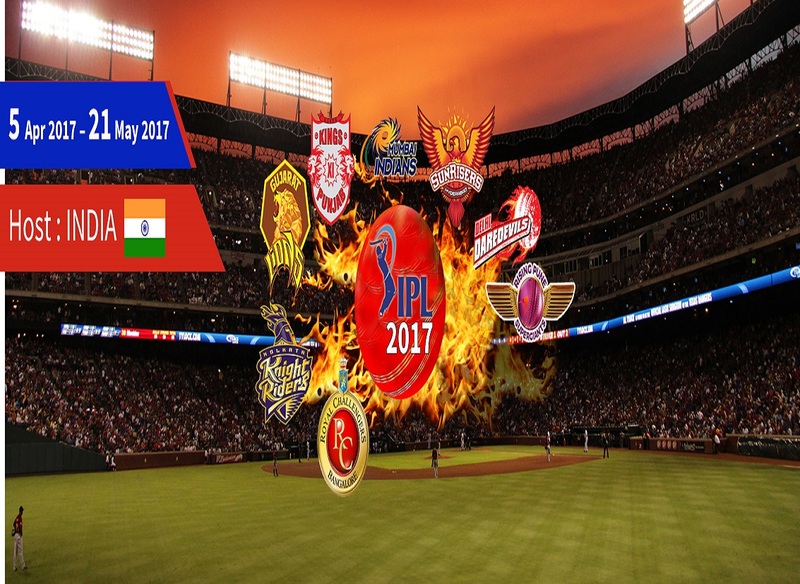 The Indian premier league 2017 started on April 05 this year and it continue till May 21 ,2017. IPL 2017 is the tenth edition of Indian Premier League.Eight teams are participated in 2017 IPL season.This cricket league is intiated by BCCI(Board Of Control For Cricket In India) in 2007. 2017 season of IPL matches, spread across the nine venues. Hyderabad ,which hosted the first match in this season between Sunrisers Hyderabad and Royal Challengers Bangalore.Hyderabad will host the final match also. Definitely, IPL cricket league gives chance for the young Indian cricketers to prove their talent on a big platform. The list of eight teams participated in the Indian Premier League 2017 are listed below. Squad: Zaheer Khan (Captain), Sanju Samson, Quinton de Kock, Angelo Mathews, Pat Cummins, Ankit Bawne, Rishabh Pant, Shahbaz Nadeem, Aditya Tare, Navdeep Saini, JP Duminy, Mohammed Shami, Jayant Yadav, Amit Mishra, Shreyas Iyer, Sam Billings, Shashank Singh, Chris Morris, Carlos Brathwaite, Karun Nair, Murugan Ashwin, Corey Anderson, CV Milind, Syed Ahmed, Kagiso Rabada and Pratyush Singh. Squad: Glenn Maxwell(Caption), Rahul Tewatia, T Natarajan, Matt Henry, Varun Aaron, Martin Guptill, Darren Sammy, Eoin Morgan, Rinku Singh, Manan Vohra, David Miller, Gurkeerat Singh, Axar Patel, Anureet Singh, Sandeep Sharma, Shardul Thakur, Shaun Marsh, Wriddhiman Saha, M Vijay, Nikhil Naik, Mohit Sharma, Marcus Stoinis, KC Cariappa, Armaan Jaffer, Pardeep Sahu, Swapnil Singh, Hashim Amla. Squad: David Warner (Captain), Tanmay Agarwal, Mohammad Nabi, Ekalavya Dwivedi, Rashid Khan, Pravin Tambe, Mohammed Siraj, Ben Cutting, Ashish Nehra, Chris Jordan, Shikhar Dhawan, Bhuvneshwar Kumar, Ricky Bhui, Kane Williamson, Ben Laughlin, Siddarth Kaul, Bipul Sharma, Moises Henriques, Yuvraj Singh, Naman Ojha, Abhimanyu Mithun, Mustafizur Rahman, Barinder Sran,Vijay Shankar and Deepak Hooda. Check Other Sports events in india on Indiaeve.